Accounting has always been a fairly safe career bet. Every business—from local start-ups to multi-national corporations—needs skilled accounting professionals to compete and grow. And there are accounting jobs beyond the world of business, too. Government agencies, not-for-profit groups, educational institutions, and community organizations all hire accounting personnel. But, if you're considering starting accounting training, you need more specific information about job opportunities in this field. You need to know what demand is like for beginner, entry-level roles (versus senior accountants). And if you don't want a university degree, you need to know what positions you could qualify for with an accounting diploma—and whether those jobs are in demand where you live. Several trusted sources, including the Government of Canada Job Bank, and staffing expert, Randstad Canada, have published reports showing rising demand for accounting professionals at all levels—in Manitoba and all across Canada. Here's a look at the highlights. Find out if you're a good fit for this career, and which positions you could qualify for, without a university degree. Accountant and Payroll Clerk Ranked "Top Jobs in Canada"
Accountant, Payroll Clerk, and Tax Accountant all ranked high on top jobs lists this year. The first is Randstad's annual Top 15 Jobs in Canada review. Accountant gets spot #9, among the fastest-growing occupations in the country. The second report, also by Randstad, is more specific: The Best Finance and Accounting Jobs in 2019. This list features various accounting and payroll positions as top careers to pursue right now. And these weren't just high level accounting jobs. 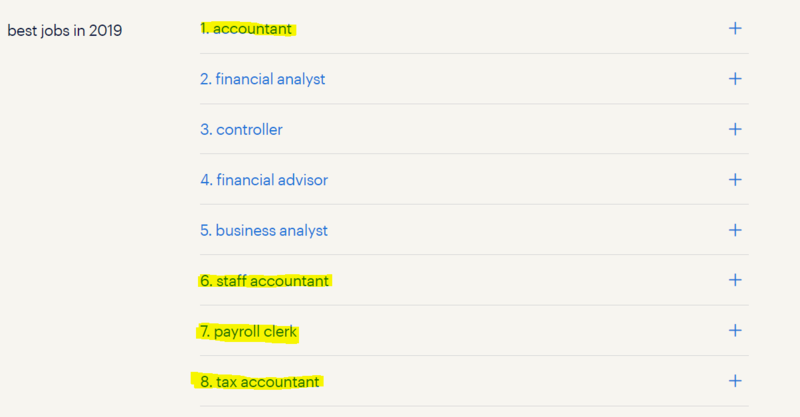 For example, the role of Staff Accountant was also highlighted as in-demand. This is a more junior role, where you would work under the supervision of a senior accountant or controller. Payroll clerk was another entry-level position on Randstad's list. While senior roles typically require a university degree, CPA designation, and years of experience, you can start in payroll with a college accounting diploma. Here's a look at the complete list of top finance and accounting jobs in 2019. Where Randstad's lists reflects widespread hiring trends for the whole of Canada, the Job Bank has data on specific provinces and cities. The latest report for Manitoba has a very promising forecast for accounting technicians, in particular. Accounting technician is another entry-level position that does not require university training or CPA designation. This occupation gets 3 stars for demand from the Job Bank—its highest possible rating. They work for private businesses, public organizations, or can be self-employed. 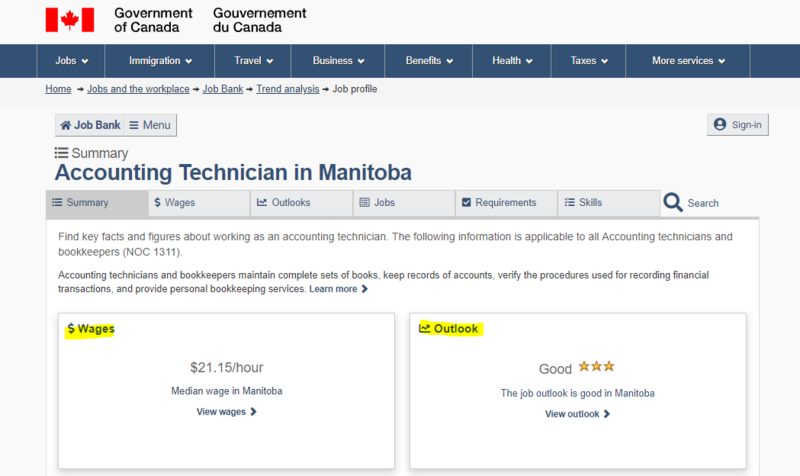 The Job Bank is predicting steady, "balanced" demand for accounting technicians in Manitoba over the next 10 years. This is a position accounting students can qualify for, straight out of college. Herzing's graduate employment rate for the Accounting and Payroll Program reflects these trends. In 2018, a full 95% of our accounting grads found work in the field (statistic based on most recent available). What accounting skills do you need to start your career? Whether you start out as an accounting technician or payroll clerk, it's important to know which skills will help you compete for top jobs. What are employers looking for in accounting staff right now? Are these things you're interested in learning? According to research by Randstad, two main skills are considered most important by employers: Microsoft Excel, and knowledge of standardized accounting procedures and best practices. Training culminates in a 6-week internship, where students get to apply and strengthen the skills learned in class. It's also a great way to add experience to your resume, and make industry contacts. Accounting and payroll is one of the shortest business diplomas out there. Several Winnipeg schools offer programs under 12 months in length. At Herzing, for example, our Accounting and Payroll Program is just 10 months long, including the 6-week internship. There is also online accounting training available for busy students, who can't make it to campus. Herzing offers an online version of our Accounting and Payroll training through FlexEd—a popular online learning system that lets students complete courses on their own terms. With FlexEd, you can study completely online, or do a blend of online and campus learning. It's totally up to you. Bottom line: There are quality, flexible accounting programs out there. Make a short list of schools you like, and book appointments with their admissions advisors to find your best fit. Meeting with admissions will give you a chance to see the campus, check out the facilities, learn more about courses, financial aid, application requirements, etc. This step is key to making an informed decision, and investing your tuition and time wisely. Don't skip it! Are you ready to take advantage of these accounting career opportunities? 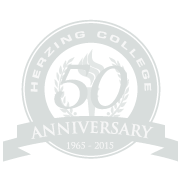 Interested in learning more about Herzing's Accounting & Payroll Program? Check out the links below for more details, and to get help planning your next step. Get fast, free information about admission requirements, online training options, tuition, and how to apply. See all the program details, and connect live with an Admissions Advisor. Get your questions answered quickly and easily online.